When a new user clicks your referral link, signs up for an account and purchases an item from our website, you will receive a percentage of the price of the first purchase made by that user. The sum of money owed to you will be immediately credited to your own XAdapter account. If that sounds like something you want to do, read on to find out how it all works. This text has to be held as an additional part of XAdapter General Terms and Conditions and everything defined in there has to be held as valid. In the case of inconsistencies between the two, XAdapter Affiliate Terms and Conditions prevail. “User”, in these Terms and Conditions, is any subject browsing the Internet and coming to XAdapter website and to Affiliate page. “Affiliate” is any person adhering to XAdapter Affiliate Program and subject to these Terms and Conditions. Any reference to you, your, yours has to be held as reference to the affiliate. Every member automatically gets a referral code while signing up for the program. 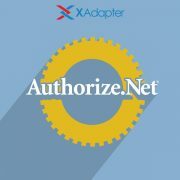 From your page on XAdapter, you will receive an affiliate link (or referral link) that includes the referral code. You can paste this link or image button on your website. In order to be entitled to the Affiliate Program earnings, users that reach our website shall neither have visited it before nor have a XAdapter account. You are eligible for withdrawal of your earnings from your XAdapter account as soon as you reach the minimum amount of 50$. However, note that your earnings will not be paid automatically when the minimum threshold is reached. You have to place a request for the same. Alternatively, you can use the income coming from your Affiliate Program earnings (or part of it) for purchases on our website regardless of the minimum threshold. You must only be sure that the earnings in your account are enough to purchase the product you are interested in. 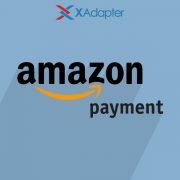 XAdapter keeps your earnings safe until you request payment. Unless we decide to pay your earnings before, they will be kept safe for you until we get a request for payment from you. If the product is returned or if the customer requests a chargeback on the purchase we will withhold that portion of your earnings from your Affiliate earnings. We have a 30-day return period for all XAdapter products. You cannot do any act that could be confusing, misleading or deceptive for users, inter alias, confuse them about the fact that your website is managed or authorized by XAdapter (e.g. by emulating graphic elements from our website). Our trademarks or domains or intellectual properties are properties of XAdapter and you cannot use them, except for explicitly authorized banners and creativities made available here by XAdapter to our affiliates. You cannot act in any way that is a direct or indirect contravention of XAdapter Terms and Conditions. You may not behave in any way that does not conform to our standards. We reserve the right to decide whether or not your use of the Affiliate Program complies with XAdapter Affiliate Program Terms or with XAdapter Terms and Conditions. If we decide that your participation in the Affiliate Program does not comply, after official communication, we can withdraw your earnings and may disable your account. XAdapter Affiliate Program is subject to a fairness and integrity policy that has to be respected, and that entitles XAdapter to consider revising for each unfair affiliate.